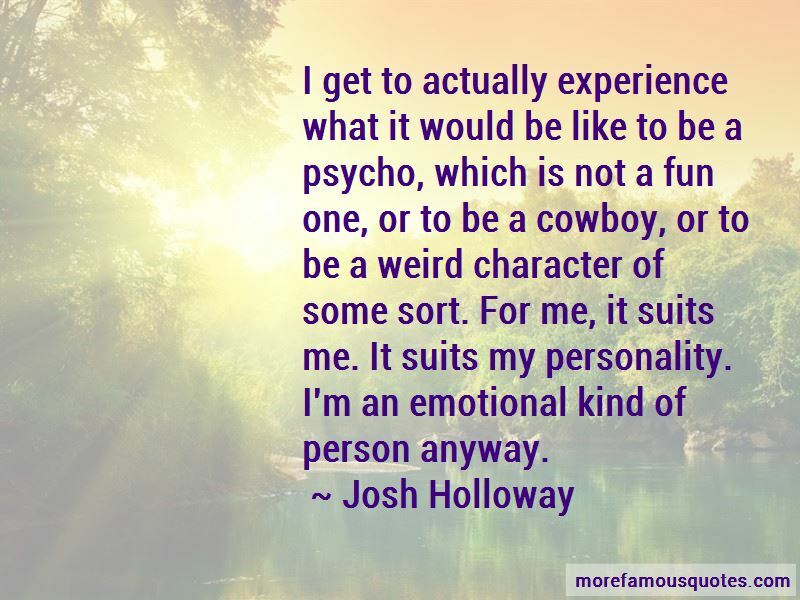 Enjoy the top 26 famous quotes, sayings and quotations by Josh Holloway. I want to stay in Hawaii a little while. I'm kind of liking it over there. I'm an outdoorsman kind of person, so I don't like the buzz of the crowd, crowd, crowd and all that so much. I mean I don't mind it, but I don't seek it out. I've done all the dumping, which is not a good thing. It's funny, because I married someone who has always done it as well. I believe I met my match. 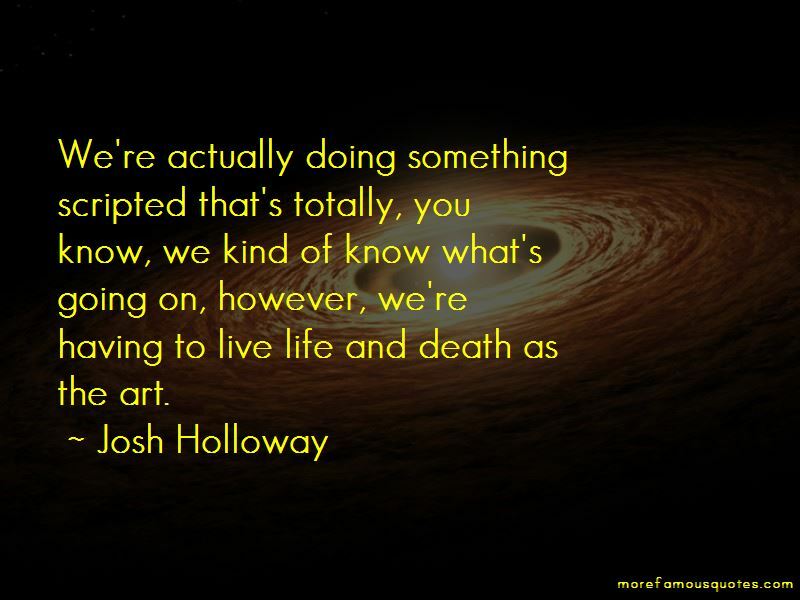 Want to see more pictures of Josh Holloway quotes? 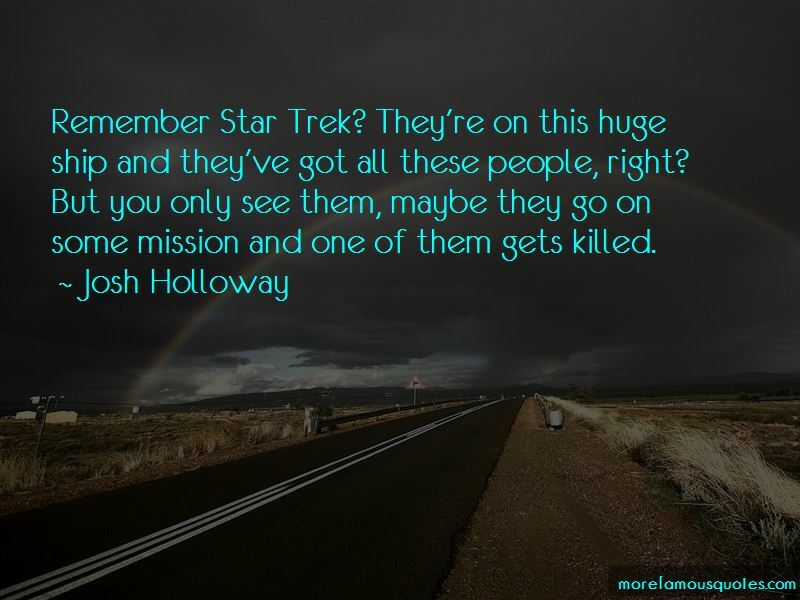 Click on image of Josh Holloway quotes to view full size.